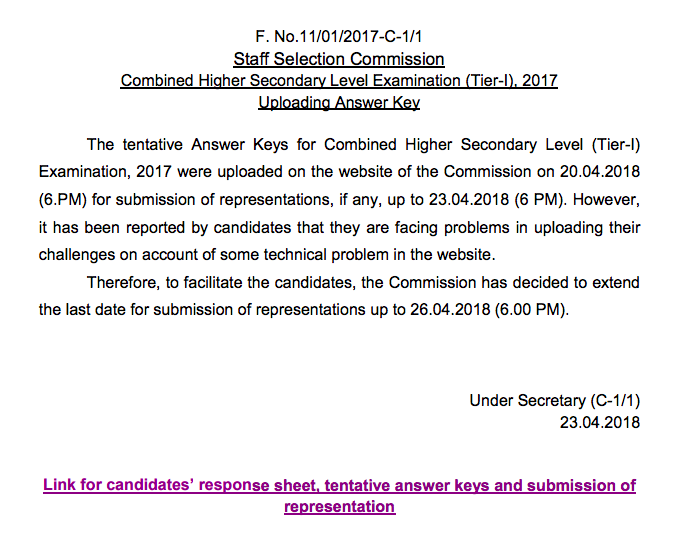 The tentative Answer Keys for Combined Higher Secondary Level (Tier-I) Examination, 2017 were uploaded on the website of the Commission on 20.04.2018 (6.PM) for submission of representations, if any, up to 23.04.2018 (6 PM). 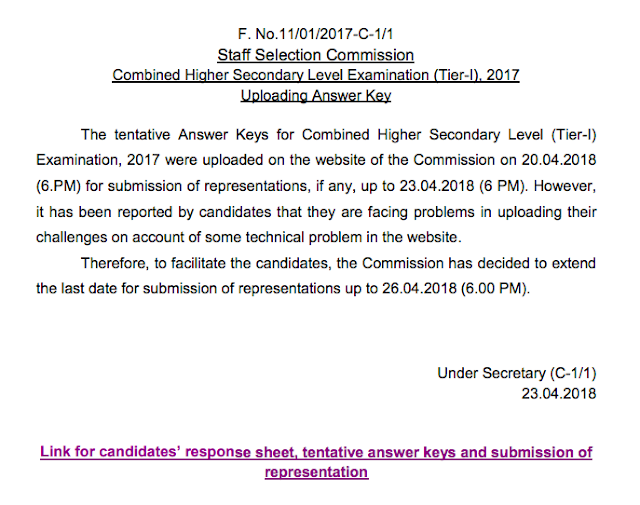 However, it has been reported by candidates that they are facing problems in uploading their challenges on account of some technical problem in the website. Therefore, to facilitate the candidates, the Commission has decided to extend the last date for submission of representations up to 26.04.2018 (6.00 PM).